View cart “Classroom Hydroponic Plant Factory” has been added to your cart. This how-to book unlocks the door to the world of gardening indoors under fluorescent and high intensity discharge (HID) lamps. 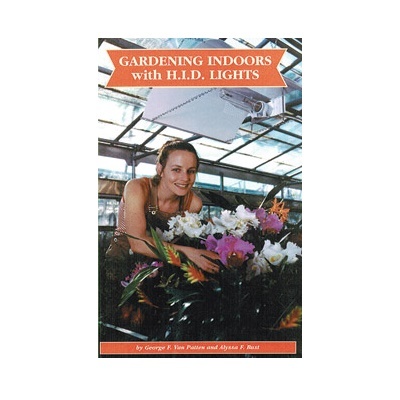 Fluorescent lamps help seedlings and low-light plants start earlier and grow stronger. HID lamps are a substitute for the sun! High-tech HID lamps have been used in Europe for more than two decades with phenomenal results. Now available in the U.S., the HID lamps offer total control of the growing season all year round. Eat vine-ripened vegetables and enjoy fresh flowers daily regardless of the season. A high-tech gardening environment is very easy to create and maintain. Join the scores of other gardeners that are gardening all year round!